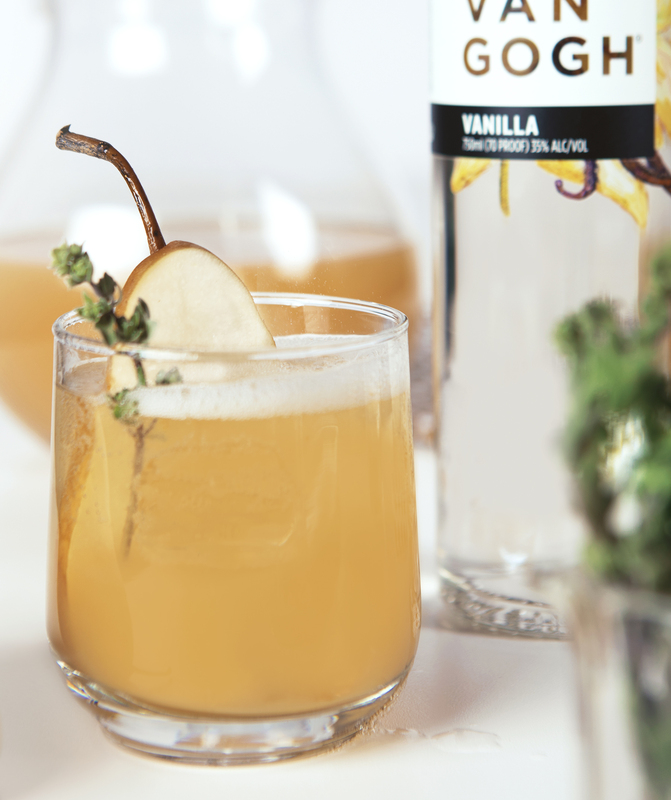 Made with our signature Van Gogh Vanilla, The Golden Pear is a refreshing fall or winter cocktail. 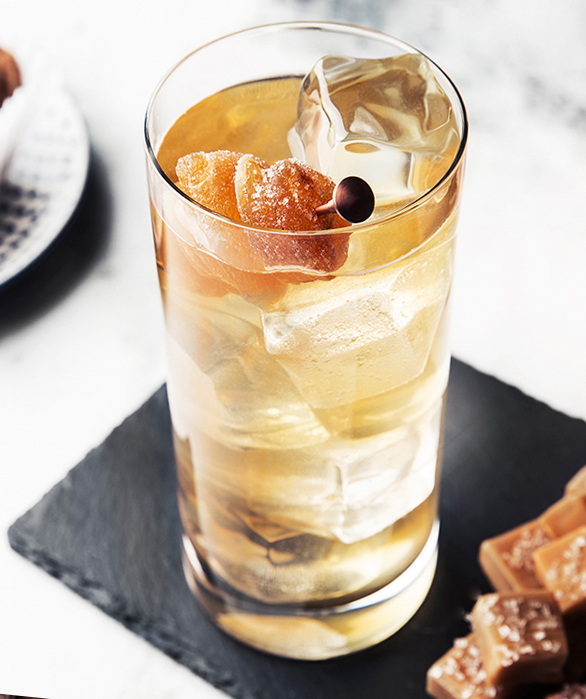 Craft for your holiday gathering or enjoy as a sparkling happy hour drink. 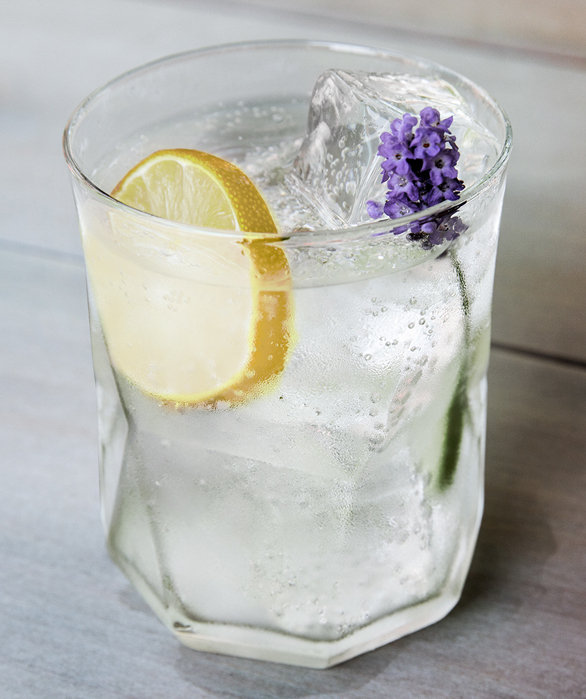 Pour pear juice, vodka and simple syrup into a rocks glass and stir to combine. Top with sparkling wine and garnish with a pear slice and marjoram.